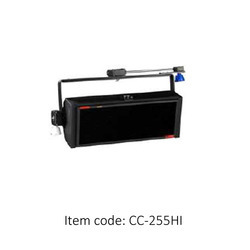 We are an acclaimed entity, engaged in offering a wide range of Cool Light-HI which reduces the overall dimensions of the luminaries; this cool light is manufactured with superior grade aluminum sheet with other allied material and leading technology. 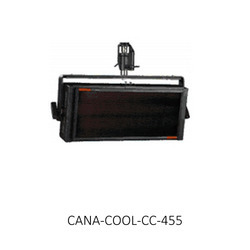 Backed by a diligent team of professionals, we have been able to offer a wide range of CAN Cool Light. 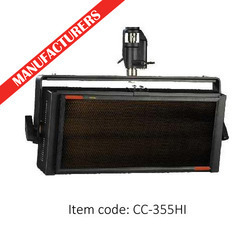 We are an eminent entity engaged in offering an extensive range of CAN Cool Light. 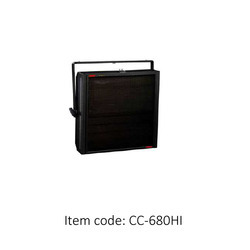 The offered cool light has a significant reduction in energy cost & does not require external intensifiers technology. 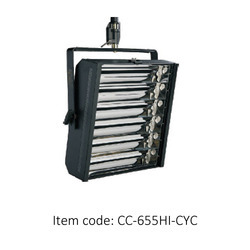 Moreover, we offer this cool light in numerous configurations within given time frames. Facilitated by the technically advanced process, we are presenting a distinguished collection of Cana Cool. 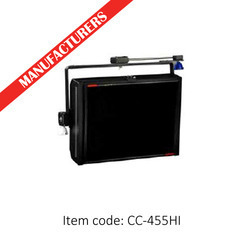 Cool Lights HI Luminaires are suitable for short throw studio or location lighting application. 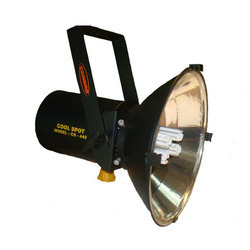 Intensifier can be used to enhance the illumination. 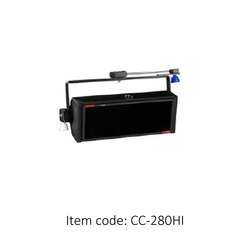 The Cool Light Luminaires are provided with dual accessories holding slots which enables the use of 2 different accessories at a time. MS sheet metal in square construction. 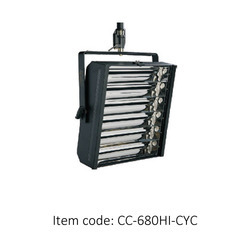 The specially designed reflectors do not require external intensifiers which occupy space and thus reduces the overall dimensions of the luminaire Cool High-Intensity Light. Lamp Socket: 2G11 Base 4 PIN molded white high-strength thermoplastic with push-wire connectors. 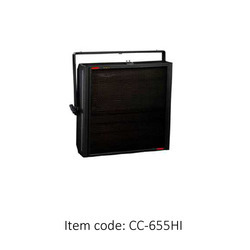 The specially designed reflectors do not require external intensifiers which occupy space and thus reduces the overall dimensions of the luminaire Cool High-Intensity Light. MO% more lumen per Watt than conventional tungsten lamps, less heat emission, less power consumption, a significant reduction in energy cost & more comfort for the subject. 3 Dimming options Local control, Analogue control and Digital DM% control. Available in 4 different configurations 2-Bank, 3-Bank, 4-Bank & 6-Bank. 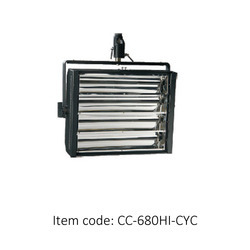 The specially designed reflectors do not require external intensifiers which occupy space and thus reduces the overall dimensions of the luminaire Cool Light. 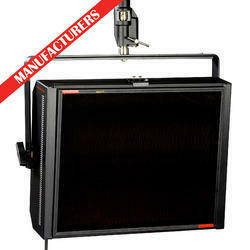 Cool Light luminaires are very effective, for theaters where large background screens are projected reflector made of specialized aluminum sheet with asymmetric shape. 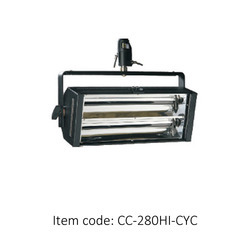 Cyclorama Cool Light luminaires are very effective for theaters where large background screens are projected. Reflector made of the specialized aluminum sheet with the asymmetric shape. 3 Dimming options - Local control, Analog control and Digital DMX control Available 2-Bank. Cyclorama Cool Light luminaires are very effective for theaters where large background screens are projected. Reflector made of specialized aluminum sheet with an asymmetric shape. 300% more lumen per Watt than conventional tungsten lamps, less heat emission, less power consumption, the significant reduction in energy cost & more comfort for the subject. 3 Dimming options - Local control, Analogue control and Digital DMX control Available 2-Bank. 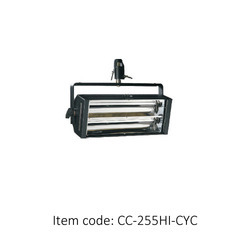 Versatile, lightweight, variable beam spread cool spotlight is ideal for indoor or outdoor location lighting application Single Head Variable Cool Spot Light. Efficient and suitable for multi-applications. 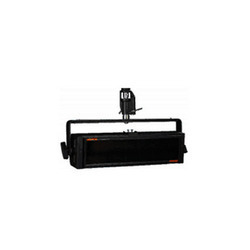 The Canaflo 10 Bank is widely used for motion picture production. 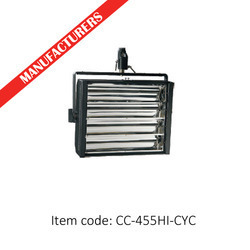 It is the best substitute for the conventional high wattage bulky halogen luminaries. 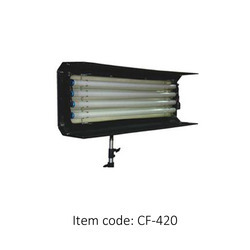 Light weight, cool & flicker free light, carries ten 75W color corrected fluorescent lamps which are available in 3200K and 5500K with protective transparent envelope. 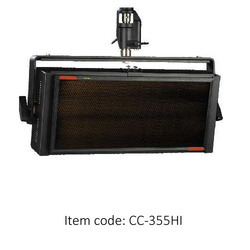 Used in television news reading studios and teleconference facilities Chin Light. Lamp available in tungsten or daylight balance. Individual lamp switching with minimum color shift.